I just bought a new old boat recently and figured I'd find a place to document the project and hopefully get some pointers along the way. 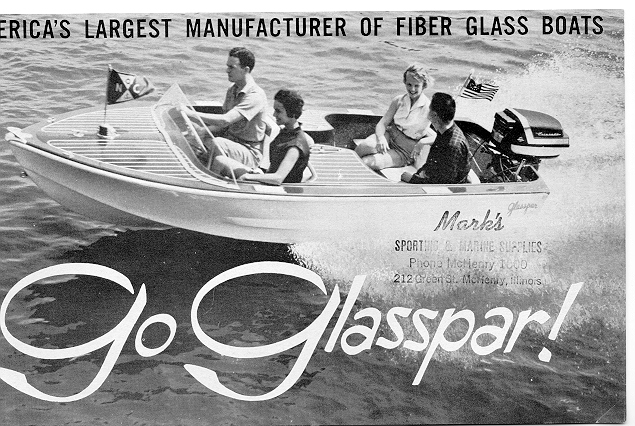 The boat is a yellow 1959 GlassPar Sport Lido. Really pretty boat. 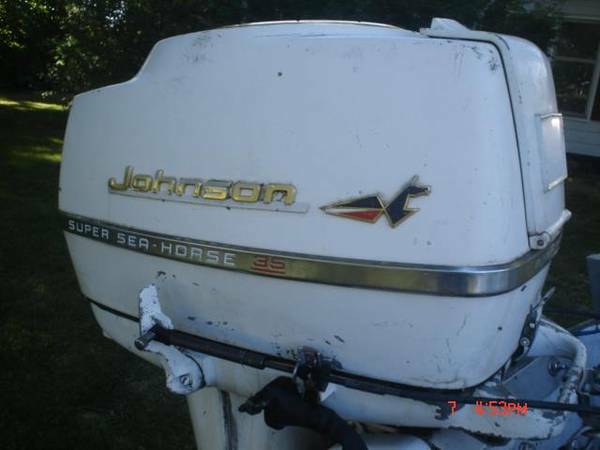 I received a 35hp Johnson engine with it which appears to be an early 60's model based on images of other Johnsons I found on google. 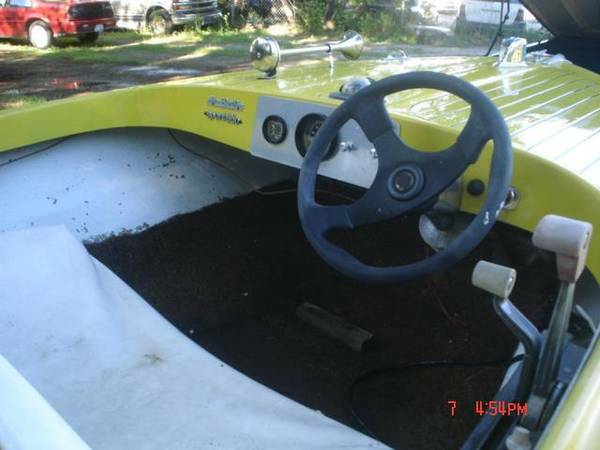 I started on the boat by taking the engine off, removing the seats and gross old carpet, and starting to bust out the old transom. I need to actually get after that transom in the next few days and get the rest of the wood out. I have some past fiberglass experience and am not super worried about that too much. I'll have to repair a part of the floor toward the back. My biggest concern at this point is whether or not the stringers will be ok. The best I can tell so far is the stringers are decently solid but I can't tell for sure yet. The hull itself has its share of scratches but looks to be alright and seems to not leak. 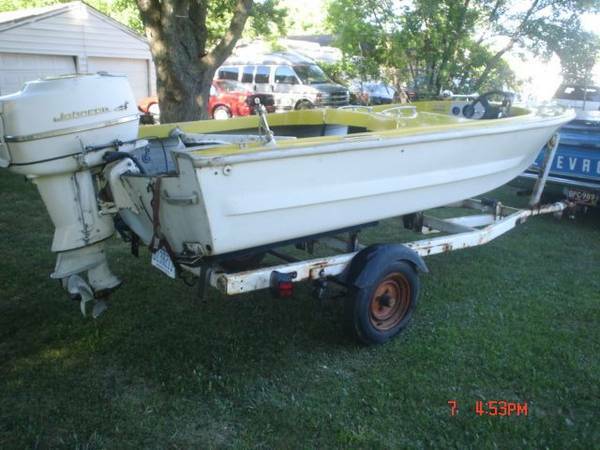 I already acquired a 9hp evinrude engine and a gas tank from a very kind neighbor on the lake so who knows what I'll do with the 9hp, but the gas tank will be well appreciated. 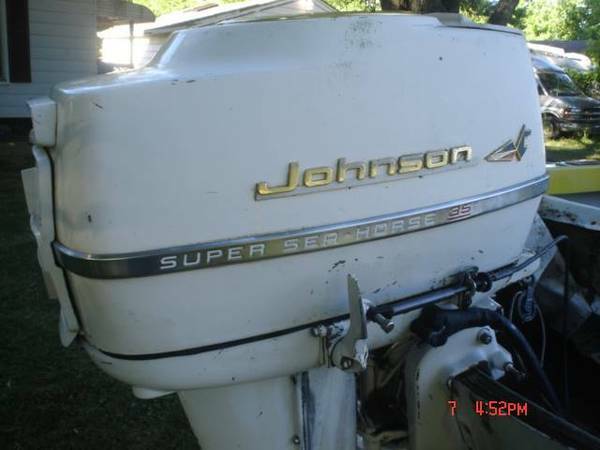 The Johnson 35hp will need the carb cleaned, but the previous owner got it started on starting fluid so it appears to run. We'll see. The trailer is crusty looking, but has good tread on the tires. A little paint and TLC and the trailer should shine up nicely. Eventually, I would like to find some original or old school chrome gauges and a cool steering wheel to replace this 90's plasticy looking thing. I also need to find some Glasspar hull badges and a windshield as they're missing, unfortunately. I would guess the engine is a 1959. 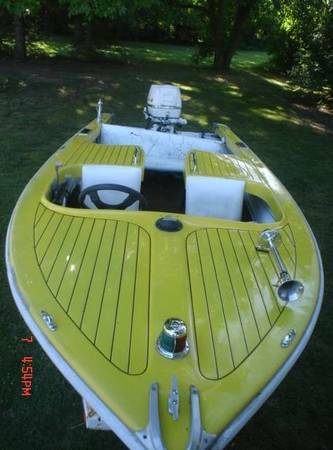 I think it would be a 40 hp in 1960 and later. I wouldn't start it on starting fluid too often if I could help it. No oil in it and could damage the cylinders. I'll see if I can find the serial number and track it that way. You're absolutely right about starting fluid. I personally haven't used any on it. I would rather put some gas/oil in a spray bottle if I were trying it with a gunked up carb.